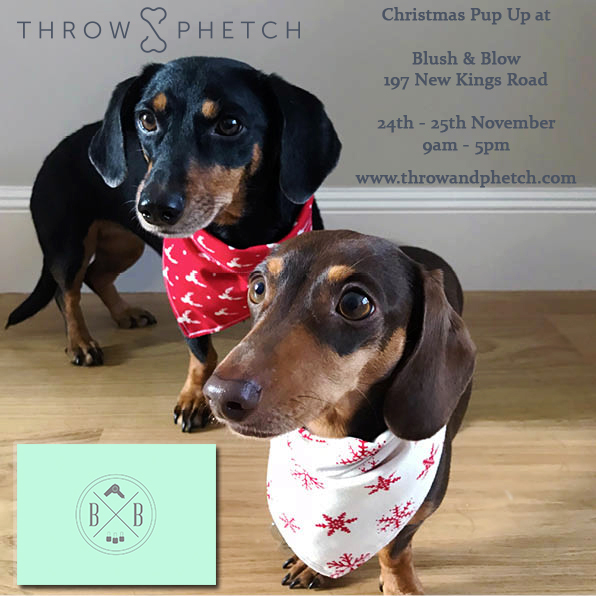 We're delighted to be holding a festive pop up at the wonderful Blush & Blow London on November 24th and 25th from 9am till 5pm. Located at 197 New kings Road, London, SW6 4SR we'll be offering lots of our normal pieces alongside some festive inspired toys and dog wear. Please come down - we'd love to see you and whilst you're there why not book in for a blow dry or manicure - they're great!